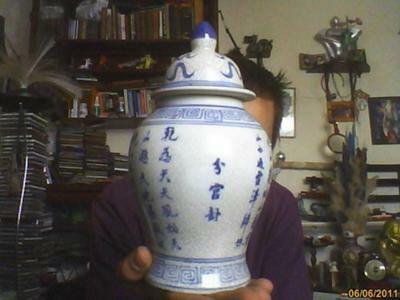 Blue and white baluster vase with lid. I am hoping to get some information on the period that the item was made in as well as the location it was made and who made it. Thanks for any feed back you give me. 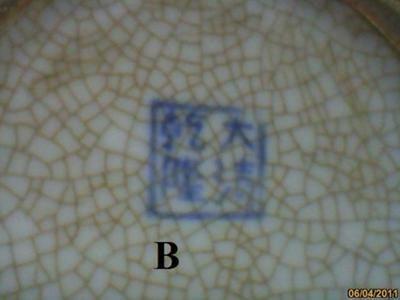 Comments for Blue and white baluster vase with lid. The pictures are too small, and not enough. Would need closeups of decoration and bottom too. However, from what I see here it looks like a 20th century (2nd half or newer) product. This is relatively new and neither antique nor a fake. Apparently, no attempts at faking age were made, with a stamped mark like this.